Create an impressive presence in your office space with this bold yet comfortable chair! 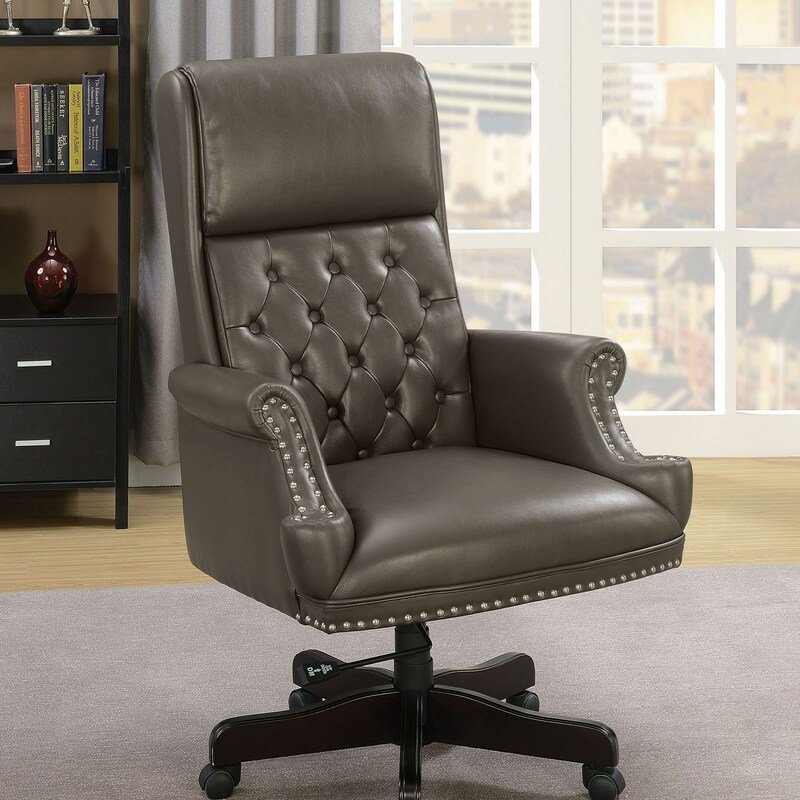 Roll up to your desk and lean back against the elegant button tufted back, letting the leather gel upholstery soothe your stress as you focus on your work. The Bovill Traditional Office Chair with Button Tufting, Nailhead Trim, and Casters by Furniture of America at Furniture Superstore - NM in the Albuquerque, Los Ranchos De Albuquerque, Rio Rancho, Santa Fe, Corrales, NM area. Product availability may vary. Contact us for the most current availability on this product.